The following article was originally published on January 22, 2018 via the Greater Des Moines Partnership. The Greater Des Moines Partnership celebrated its 2017 accomplishments and looked forward to 2018 during its 129th Annual Dinner on Monday, Jan. 22 at the Community Choice Credit Union Convention Center at the Iowa Events Center. The Partnership’s Annual Dinner celebrates the organization’s community and economic development accomplishments over the past year, and it details strategic priorities for the coming year. The Partnership celebrated successes including economic development activity that resulted in 23 existing business expansions, 11 new company locations and a capital investment of more than $1.1 billion. 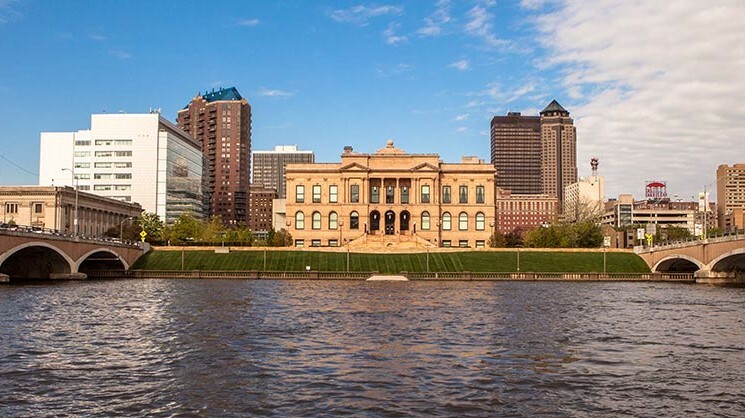 Elevate a national targeted digital marketing campaign to broaden awareness of and interest in Greater Des Moines (DSM) from prospective talent and economic development consultants. Partner with the Iowa Economic Development Authority and local partners to determine if a certified megasite can be created in DSM USA. Implement a DSM Fellowship program with a focus on attracting diverse candidates. Enhance the entrepreneurial ecosystem through implementation of a new entrepreneur and startup network program, and create a new small business jobs report. Implement a new Central Iowa Code Academy. Develop and implement a Downtown retail development strategic plan. Enhance the vibrancy of Downtown Des Moines through activation of the Downtown riverfront and river. To view a video highlighting the region’s momentum in 2017, click here. The Greater Des Moines Partnership is the economic and community development organization that serves Greater Des Moines (DSM), Iowa. Together with 23 Affiliate Chambers of Commerce, more than 6,100 Regional Business Members and more than 320 Investors, The Partnership drives economic growth with one voice, one mission and as one region. Through innovation, strategic planning and global collaboration, The Partnership grows opportunity, helps create jobs and promotes DSM as the best place to build a business, a career and a future.